The Turbo Arrow is in progress. I harvested the engine from the Conquest. 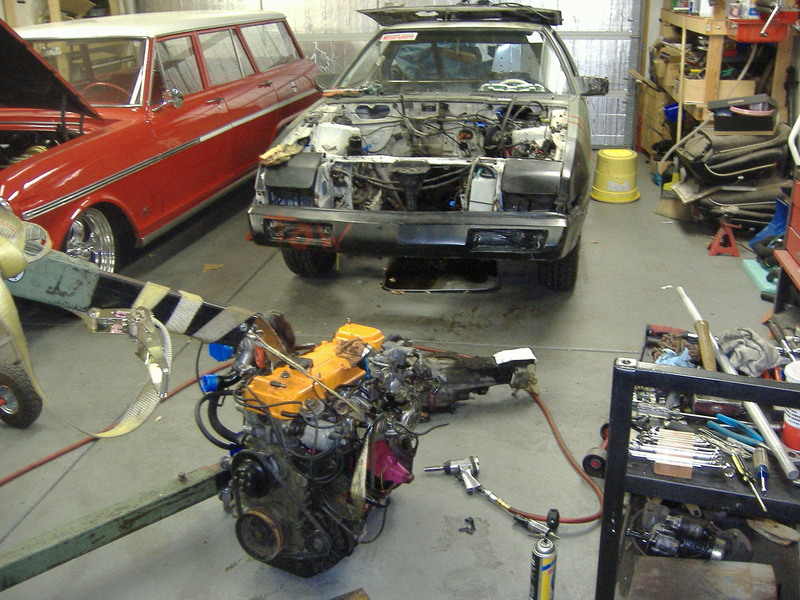 The plan was originally to replace only the head but now it will be the whole engine. It needs a bit of work, but the Starion engine has a better oil pump, cooling systems, and lower compression for all that boost. Hit the jump for a few more shots of the carnage. Since this engine is injected, I will need many of the electrical circuits and electronics from the Conquest in order to make it run. 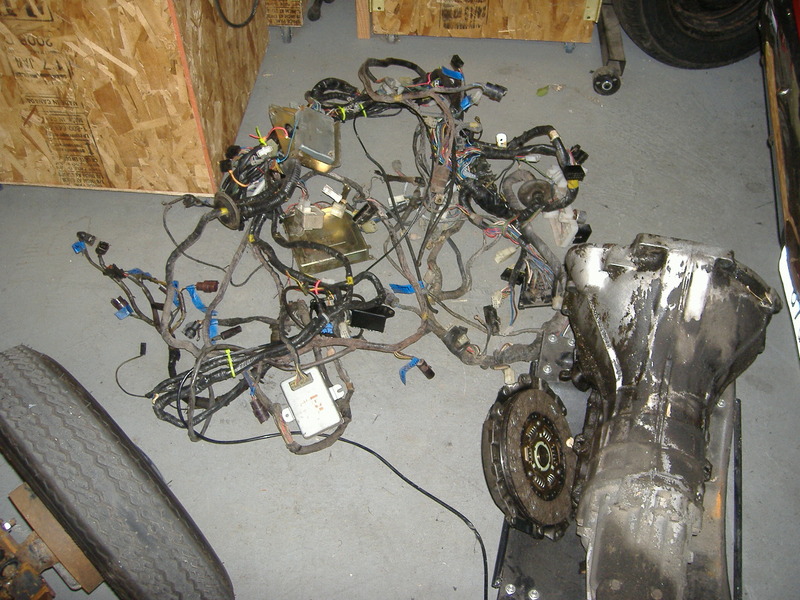 So, I pulled the entire wiring harness. 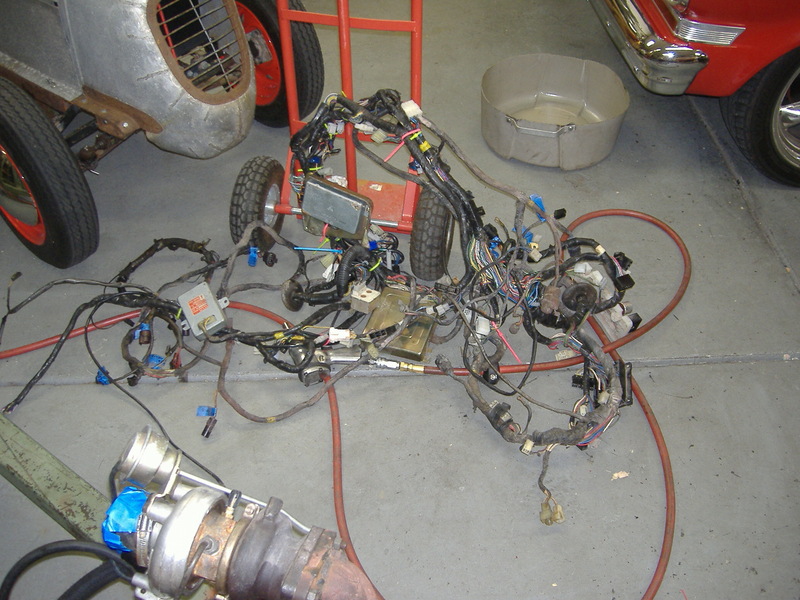 The harness ran through both front fenders, through the firewall on both the passenger and driver side of the car, and had one oddball bundle running throug the firewall just behind the brake vaccuum assist booster. The booster had to be removed to get the final portion of the harness through. The only other item I need from the ‘Quest is the fuel system, but that is going to wait for another day. This wiring should keep me busy a while. This entry was posted in Gems from the Dark Years (1971-1987), Items of Interest (Not for sale), Japanese, Mini Trucks, Turbo Arrow, Uncategorized. Bookmark the permalink.